View of “Benglis 73/74,” 2014. From left: Cosey Fanni Tutti, Piccadilly International Vol. 10, No. 10, 1976; Sarah Lucas, Bucket of Tea, A, 1993–2013; Lynda Benglis, Female Sensibility, 1973; Janet Burchill, The Temptation To Exist etc., 1990. 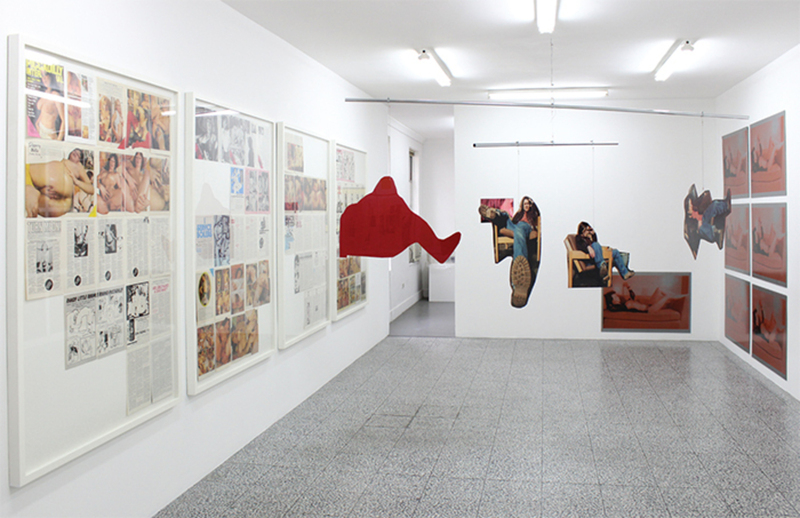 Installation view, Neon Parc. Neon Parc/Sutton Projects/TCB Art Inc.